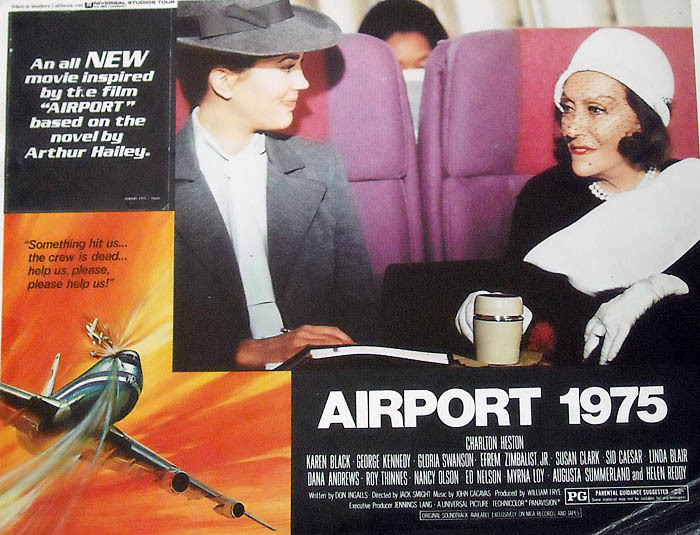 Plot: After the pilots of a jet airliner are killed in a freak accident, a stewardess must pilot the plane to safety. Swanson was first offered the part of an alcoholic but told the writers that she was not interested in it. They pursued her until she finally agreed to accept the part if she could play herself. So that is what she did - she talks with her fellow passengers about making movies in the silent days, health foods, etc. Airport 1975 is a mildly entertaining movie, but is actually quite silly if you think it about it for too long.